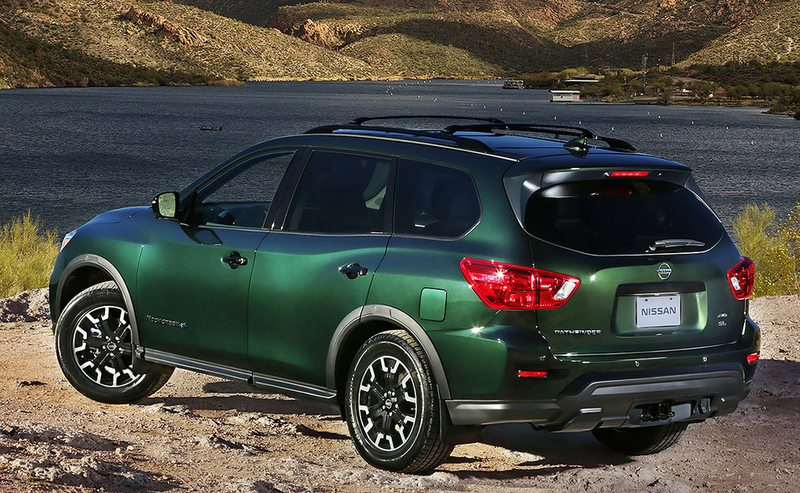 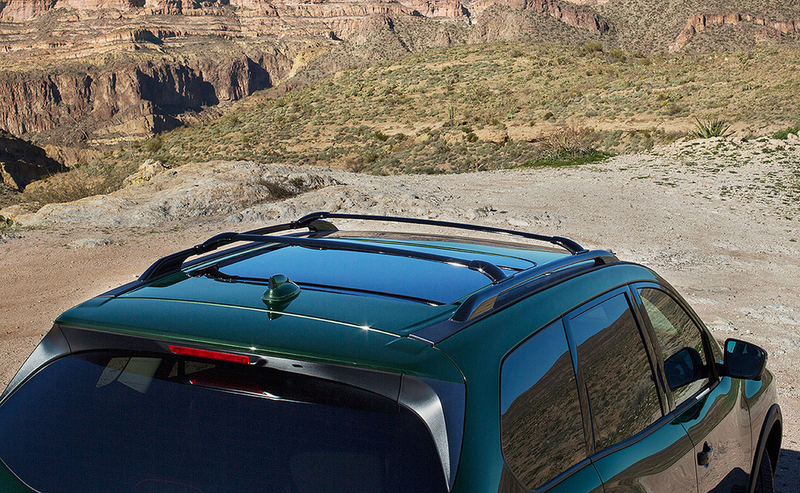 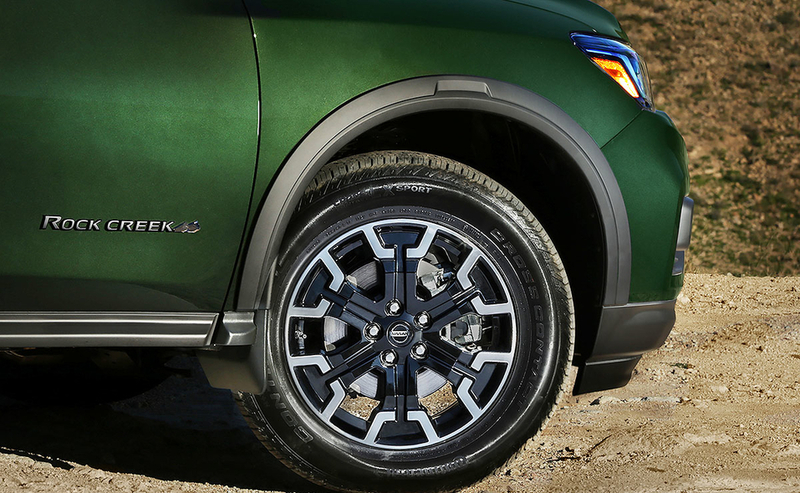 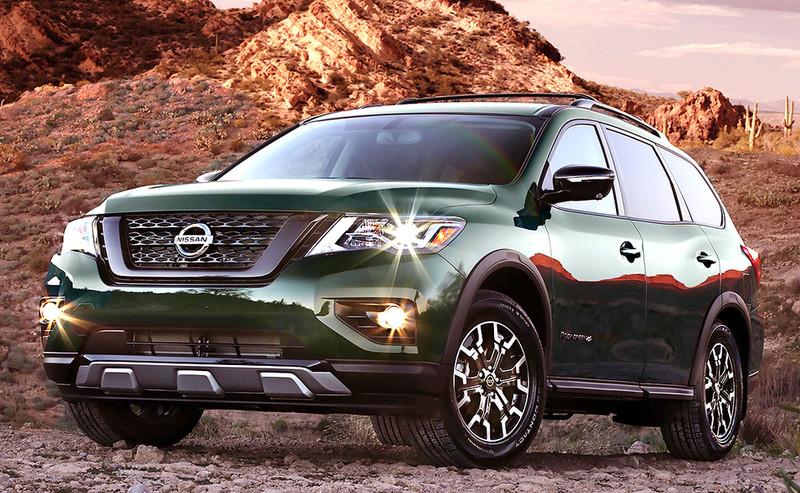 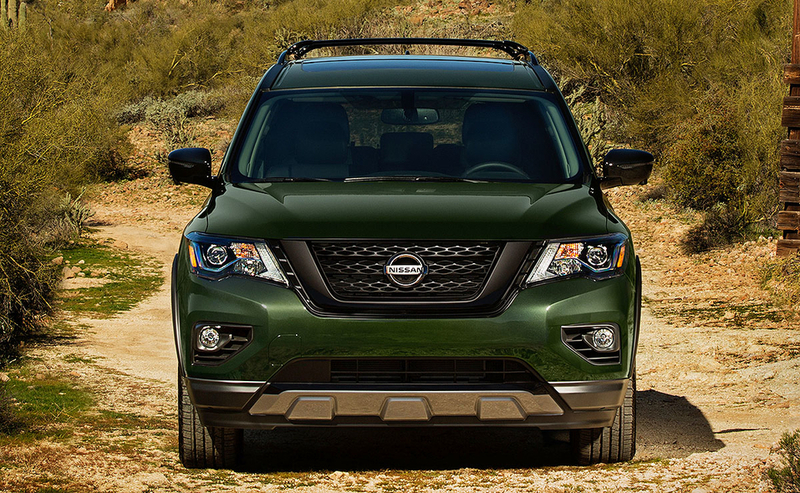 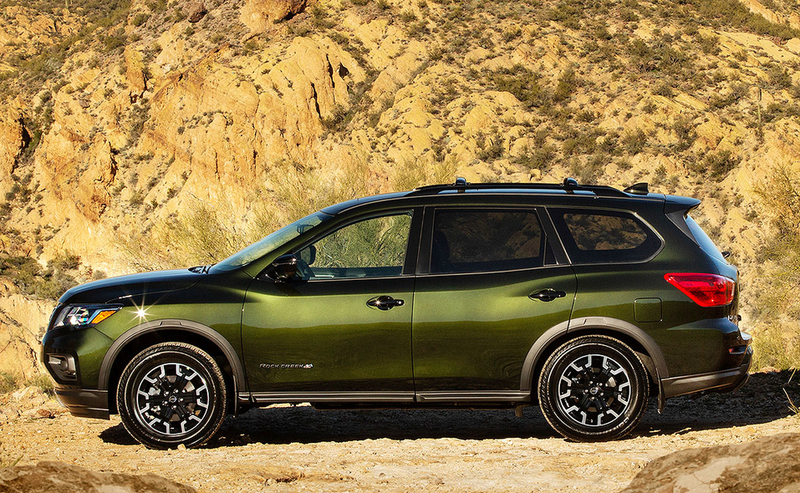 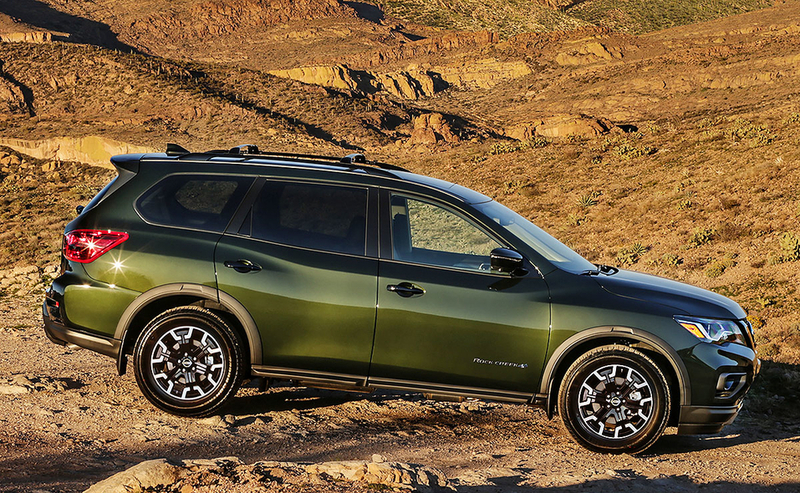 The Rock Creek Edition package on the 2019 Nissan Pathfinder features dark 18-inch wheels, black mesh grille, black roof rails, black door handles and outside rearview mirrors, black front and rear fascia accents and black molded overfenders. 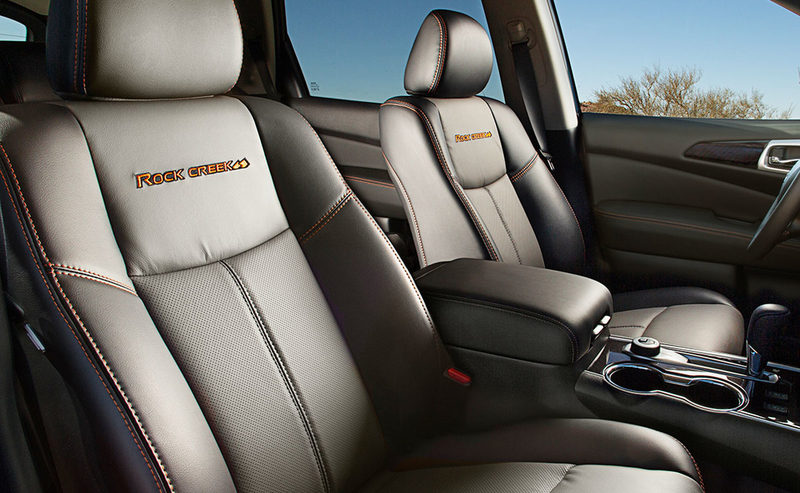 The interior includes two-tone seating surfaces and badging, high contrast stitching on seats, door, console lid and steering wheel and premium metallic interior trim. 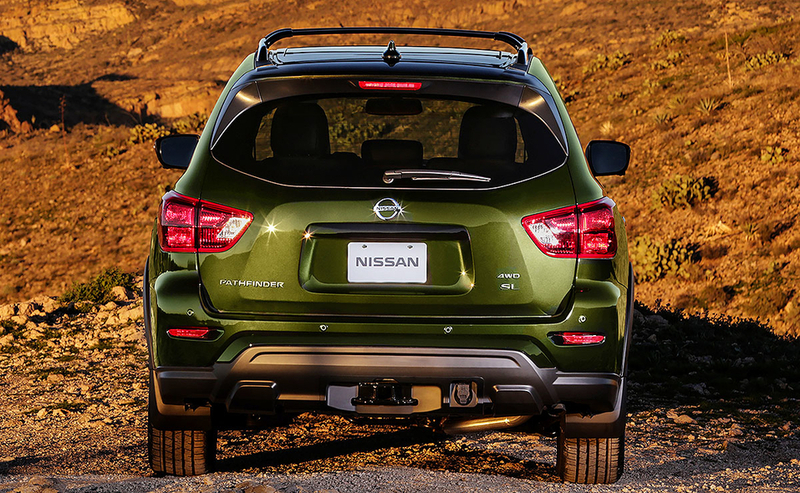 The package will be offered on Pathfinder SV and SL variants, in both two-wheel- and all-wheel-drive configurations.